Are you looking for an awesome Princess Leia costume that looks just like the movies? This Princess Leia costume is just what you’ve been searching for! It comes with a hood that is nice and big like in the movies and the sleeves are big and long without being inconvenient. The gown is slightly sheer despite being thick and comes in multiple sizes. The general consensus for all the people that reviewed this costume on Amazon is that they are surprised at the high quality of the costume for how little they spent. No need to go to Jakku to pick out your scavenger outfit! 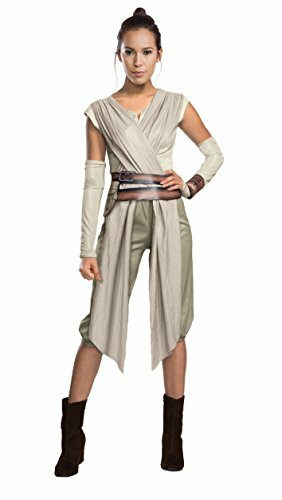 Just go with our review of the best Rey costume on Amazon! We noticed that a lot of the more expensive outfits for Rey were not really worth all those extra inter-galactic credits, so we landed on this costume. It’s a good balance of quality and affordability. This two piece set some with armband accessories and a felt belt with a pouch. For any Jakku scavenger this costume provides a practical yet feminine appeal. 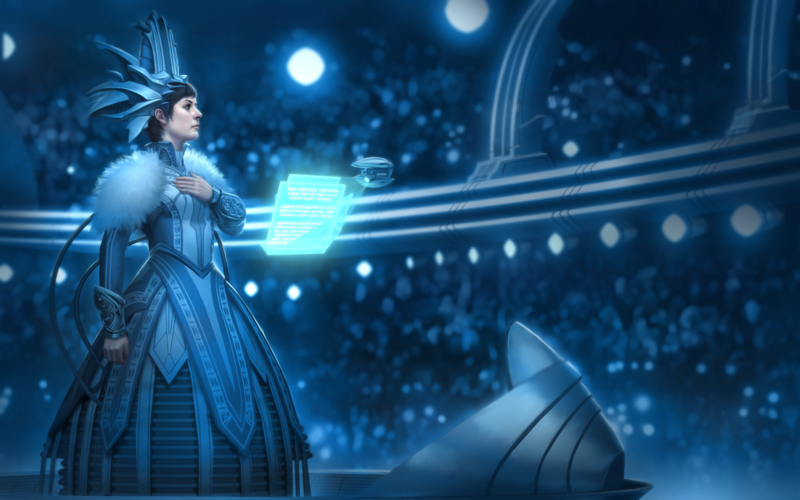 Let’s take a trip to the palaces of Naboo to see this Queen Amidala outfit that features a luxurious, very warm and matronly aura. 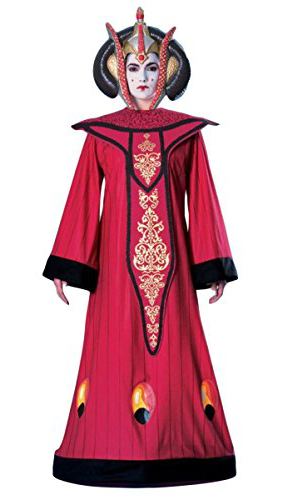 This costume is perfect for anyone who wants to go to a Halloween party as a royal lady from Star Wars but if they find Princess Leia to be too “overdone”. The reviews on Amazon praise the dress for it’s high quality and it’s radiant and beautiful look. The Halloween festivities await, my queen! 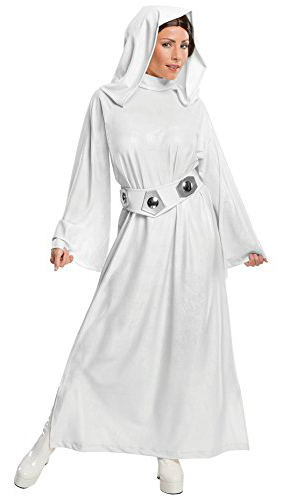 This Princess Leia Costume is better if you’re looking for a go-to Halloween party outfit for the star traveling Princess. The dress is super smooth and form fitting. It also comes with a nice quality wig, should if you need it.